We are really excited to be a part of this! 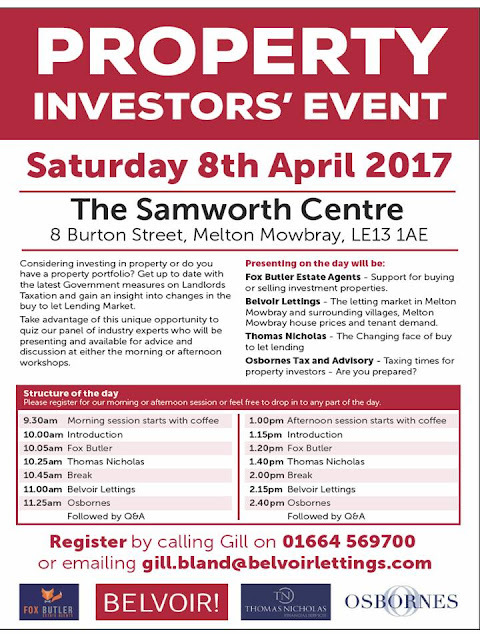 Email gill.bland@belvoirlettings.com to book your place and further your knowledge of the local property Market. Marketed by Taylors this property has rather uninspiring photos but this 3 bed semi is in a really popular area. 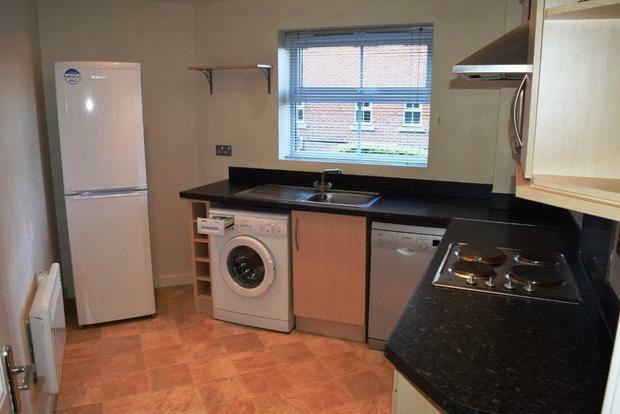 These regularly let for £650 pcm and is in the sort of area that achieves good levels of capital growth. Back in February I looked at how Melton Mowbray’s house prices had performed over the last 12 months and I have been searching for data around the performance of rents in our area. The Office of National Statistics have released the Index of Private Rental Housing Prices (IPHRP) which looks at the percentage changes of rents over the last 12 months. The Index of Private Housing Rental Prices measures the change in price of renting residential property from private landlords. The index does not measure the change in newly advertised rental prices only, but reflects price changes for all private rental properties. 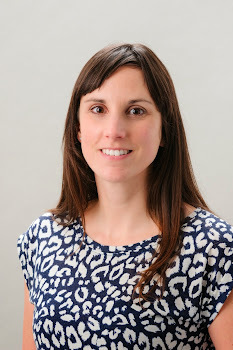 It does this by looking at the data collected by the Valuation Office Agency (VOA) who use rental officers to collect the price paid for privately rented properties. The data is broken down into regions and its good news for East Midlands landlords. 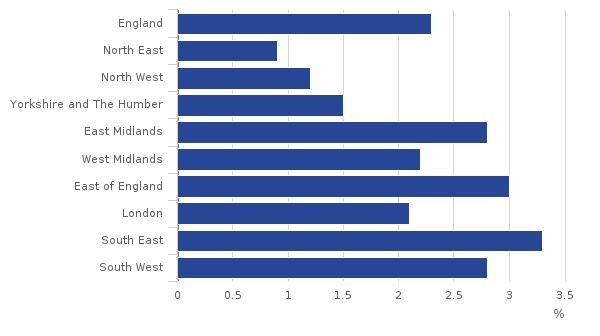 The East Midlands have seen a greater % increase in rents over the last 12 months than London and was also higher than the average for England. Between January 2016 and January 2017 London rents have seen an increase of 2.1%, in the East Midlands we have seen an increase of 2.8%. This was matched by the South West and beaten only by the East of England at 3% and South East which saw a 3.3% rise in rents. The report summarised that the increase in rents was due to demand for rental property outpacing supply. RICS (Royal Institute for Chartered Surveyors) and ARLA (Association of Residential Letting Agents) are both reporting a continued rise in tenant demand. We are certainly seeing increased tenant demand in and around Melton Mowbray and properties are letting really quickly. If you are considering investing in a property please give me a call or pop in to see me at our office on Burton Street for an honest opinion on rental returns. Where have all the new properties coming onto the market gone? This 2 bed Victorian semi is on the market for £ 137,500 with Bentons and is located in Asfordby Valley. We would expect to achieve £595 pcm for this. The office of national statistics have released the first set of data from the 2015-2016 for the English Housing Survey. This survey is a national survey of people's housing circumstances and the condition and energy efficiency of housing in England. It makes interesting reading about the nations approach to housing and gives us an idea of how the private rented sector is performing. The report found that in 2015-16, the private rented sector accounted for 4.5 million or 20% of households. Throughout the 1980s and 1990s, the proportion of private rented households was steady at around 10% but since 2002 the sector has more than doubled in size. This report also looked at who was renting property – they identified that over the last 10 years the proportion of young people renting property in the private rented sector has increased dramatically. In 2005-2006, 24% of those aged 25 – 34 lived in the private rented sector but by 2015 -2016 this increased to 46%. Over the same period, the proportion of 25-34 year olds buying with a mortgage decreased from 53% to 35%. Households aged 25-34 are more likely to be renting privately than buying their own home, a continuation of a trend first identified in 2012-13. Interestingly in the private rented sector, the proportion of households with children increased from 30% to 36%. Given the sizeable growth of the private rented sector over this period, this six percentage point increase equates to about 945,000 more households with dependent children in the private rented sector. It just goes to show that we need a healthy private rental sector to cater for the needs of families as well as young people. Melton Mowbray is a busy town that offers goods schools and is ideally located for Leicester, Nottingham and the A1. It will continue to attract families and I hope that we continue to see investors coming into the private rented sector. If you are thinking of purchasing a property to let keep an eye on the blog for potential properties that would give a good return. This apartment is on with Harrison Murray for £119,950 and currently has a tenant in situ paying £575 pcm. It is only available for investors to purchase so with rent from day one it could give a good return - even when you take into account the management fees. 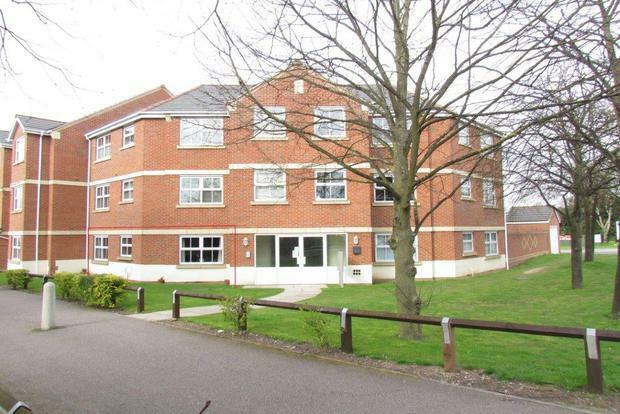 What about this lovely 2 bed ground floor apartment in Long Clawson? Its also on the market with Bentons for £ 139,950. It has a lot of character and would achieve £595 pcm. Both of these properties would let quickly and appeal to the tenants we currently have registered with us.